Do you guys remember when Jordan filled a cardboard letter “K” with fake flowers for Keadryn’s garden party? 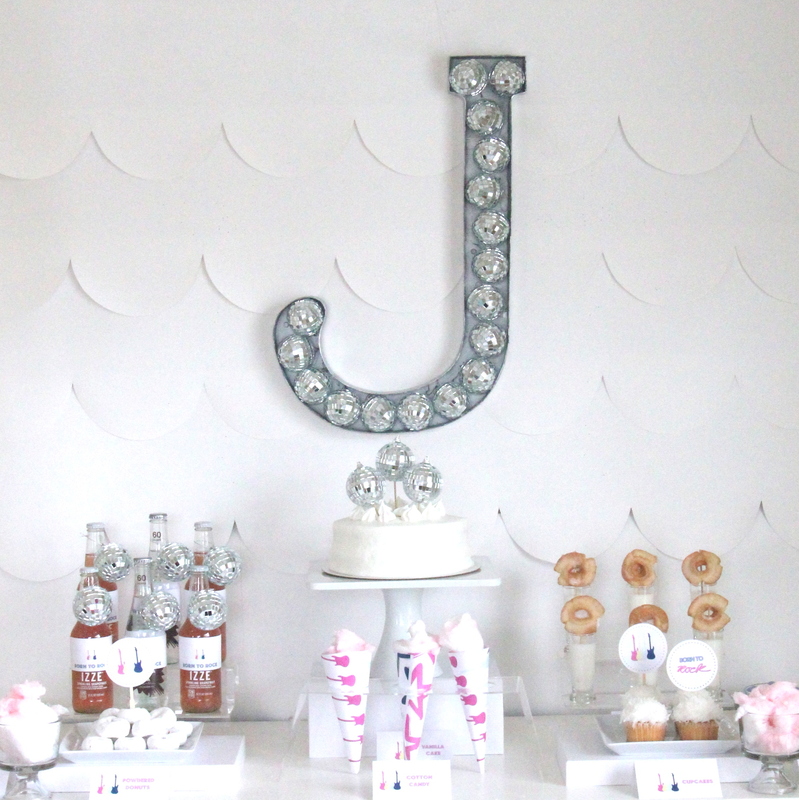 Well, I loved that so much that I’ve been wanting to do a little spin on that fill-a-monogram idea ever for Josie’s rock star party (full details on that to come). 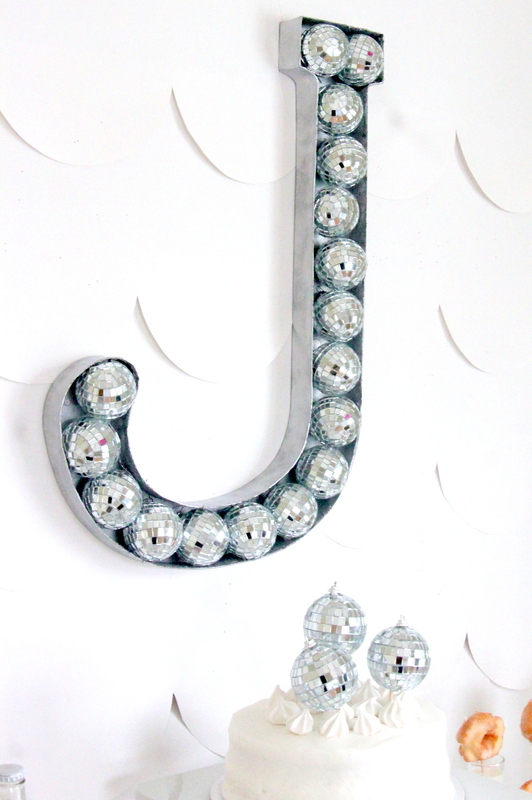 And what is more fun than a J filled with disco balls? Not much. 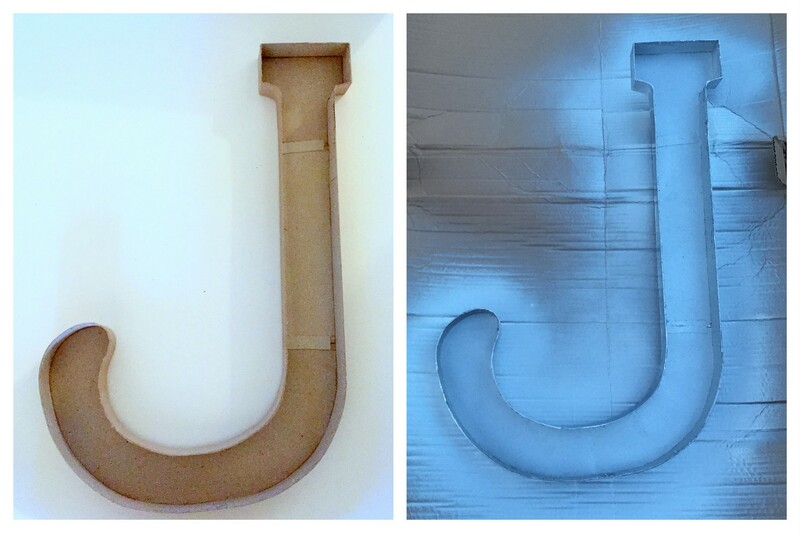 To start, I bought the biggest cardboard “J” I could find and cut around the front panel to remove it. 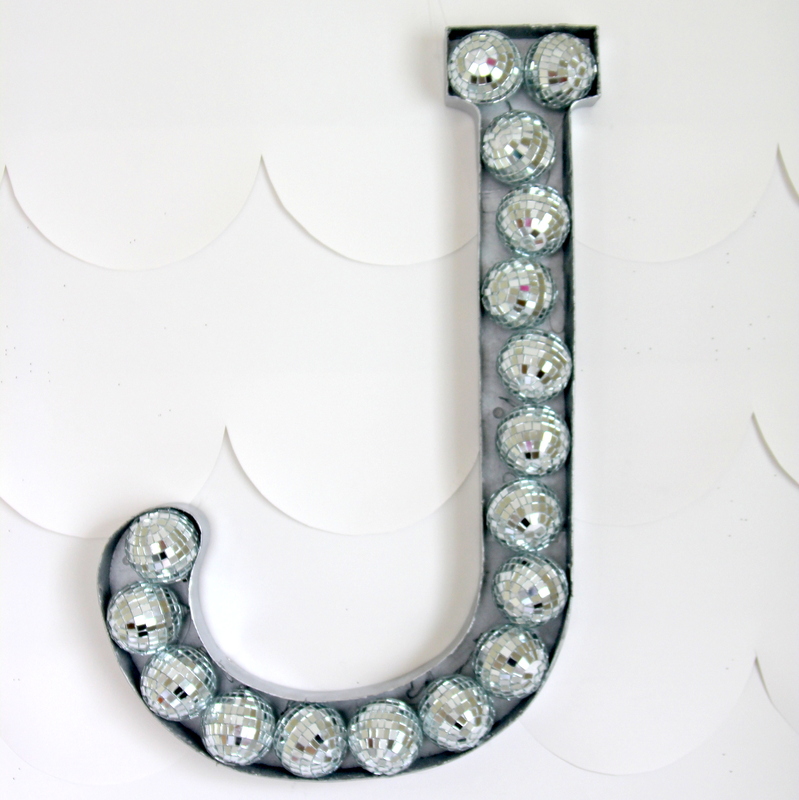 Then I spray painted the J silver. My on site engineers (aka- my dad and brother) were the brains behind the next part of this process- they punched small holes in the “J” and then weaved fishing line up through the punched holes, through the disco ball top openings, and back down again (almost like sewing a sequin to fabric, but with disco balls and a giant cardboard letter). I never would’ve thought to do it that way, and it turned out great. 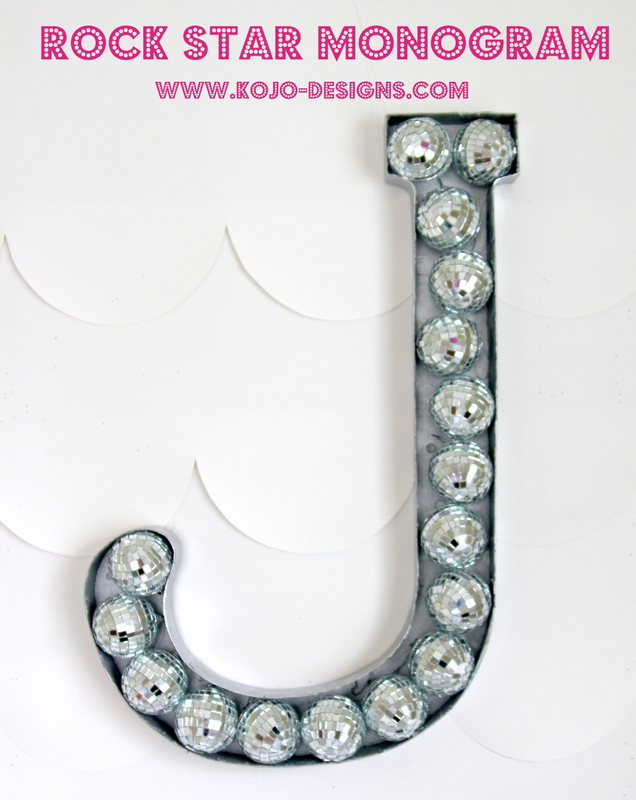 Once all of the mini disco balls are secure, your rock star monogram is finished! 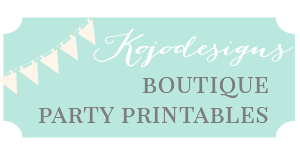 Use for a party (or even for room décor!). Love! So cute! Where’d you find the mini disco balls? Can’t wait to see the rest of the party. Oh, and the disco balls are from Oriental Trading.